This Friday, October 9th, TechSoup's NonProfit Commons in Second Life will feature Chris Delatorre who will give a rundown of exciting changes to the TechSoup community forum slated for next year, and share on his work and recent events in New York and Istanbul. Chris Delatorre is an independent communications consultant for science, technology and global philanthropy initiatives, including WINGS and TechSoup Global. Chris is a writer, an editor and content producer - a storyteller with chops in hard and social science. He’s a systems junkie, specifically built environments and social structures. His multimedia resource, COMPASS, was named model program by the US Department of Education. Chris has previous experience in pharmacogenomics and human rights activism, and his current research focuses on creating a framework for distributed social networking for CSOs. He is invested in communicating the viability of science and emerging technology as they relate to sustainable urban development and social relations. He’s a New Yorker, a dog lover, caffeine freak, zombie hunter and sci-fi geek. He believes in the power of science, empathy and community. 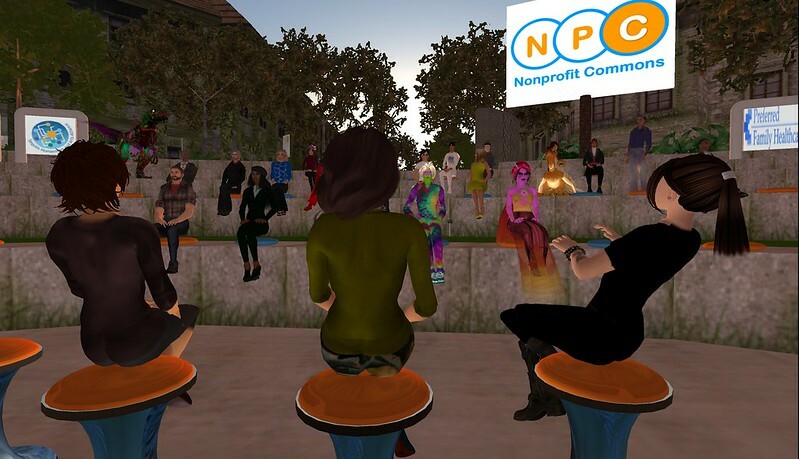 Friday, July 25th, TechSoup's NonProfit Commons in Second Life featured a community discussion with Ebbe Altberg (Ebbe Linden), CEO of Linden Lab, and Peter Gray (Pete Linden), Director of Global Communications. Linden Lab has been engaging with educational, nonprofit and other communities recently by Ebbe holding community conversations with groups in Second Life. Below is a roughly edited realtime transcript of voice conversation from the event. The transcript was created in realtime by a Certified CART provider. It has been roughly edited, and intended as notes of the proceedings only. You can also view an archive of the text chat here and listen to an audio archive here. This Friday, July 25th, TechSoup's NonProfit Commons in Second Life will feature a community discussion with Ebbe Altberg (Ebbe Linden), CEO of Linden Lab, and Peter Gray (Pete Linden), Director of Global Communications. Linden Lab has been engaging with educational, nonprofit and other communities recently by Ebbe holding community conversations with groups in Second Life. Join us for a discussion with Ebbe Altberg at this week's NonProfit Commons in Second Life meeting. This Friday, November 1st, TechSoup﻿'s Nonprofit Commons in Second Life﻿ meeting will feature a discussion on some of the spookier sides of tech. from email spam, to data hacks, to software malware. In light of Halloween this week, come ready to share any scary security stories and costume dress is welcome. This Friday, September 20th Nonprofit Commons is happy to have Beth O'Connell (Beth Ghostraven in SL) lead our Mentor's Central in a presentation on how to use social media such as Google+, Facebook, Twitter, and Second Life group notices, to attract more people to your events. These tools can be used to promote any type of event, virtual, online or in person. We will also feature a recap of the recent OpenSimulator Community Conference (OSCC13) which took place September 7th & 8th, 2013. OSCC is an annual conference that focuses on the community around the OpenSimulator software. This year's conference featured two days of presentations, workshops, keynote sessions, and social events across diverse sectors of the OpenSimulator user base and archives can be found at: http://conference.opensimulator.org/2013/streaming/. This Friday, January 18th, Nonprofit Commons is happy to feature Chris Collins (Fleep Tuque). 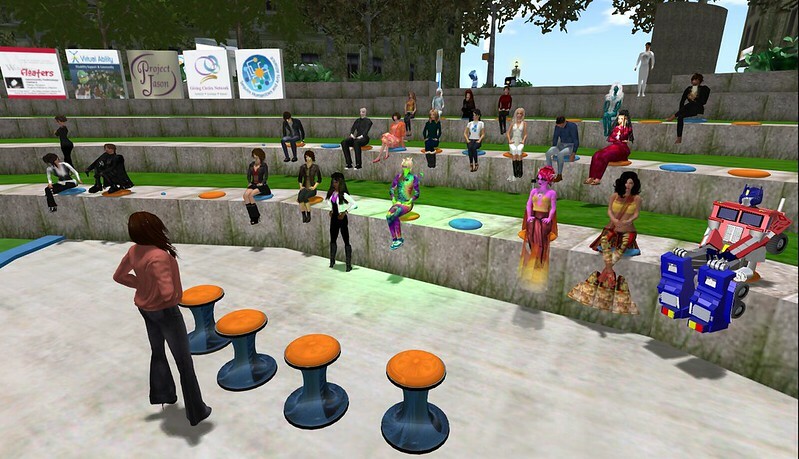 An ardent supporter of the Second Life platform for many years, she now encourages educators, non-profits, and healthcare providers to explore the emerging metaverse outside Second Life's walls. This Friday, November 9th, Nonprofit Commons is happy to feature Opal Lei, who will discuss the why, what, who and how of obtaining LSL scripts for your organization’s virtual presence. Maybe you settled for freebie scripts that do not do enough or off-the-shelf scripts that include code that you do not need and just cause lag. Maybe you have a great project idea, but you are intimidated by scripters who speak techno-babble. Maybe you can’t decide whether to hire someone or to learn LSL yourself. Maybe you’ve tried hiring someone and they ended up creating something utterly different from your vision.